presentation of the autumn colours. 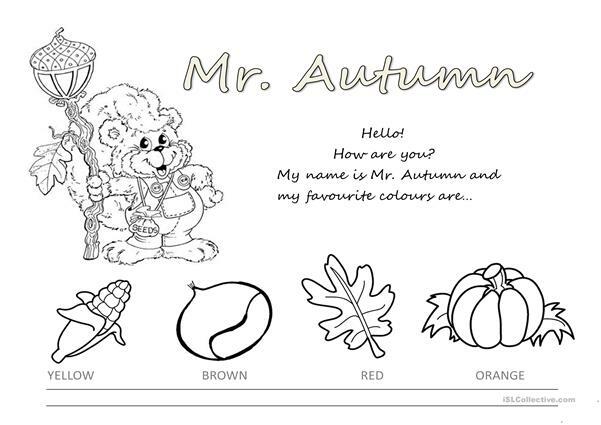 the students have to colour and write. The above downloadable teaching material is meant for elementary school students and kindergartners and nursery school students at Beginner (pre-A1) and Elementary (A1) level. It can be used for working on your groups' Reading and Writing skills. 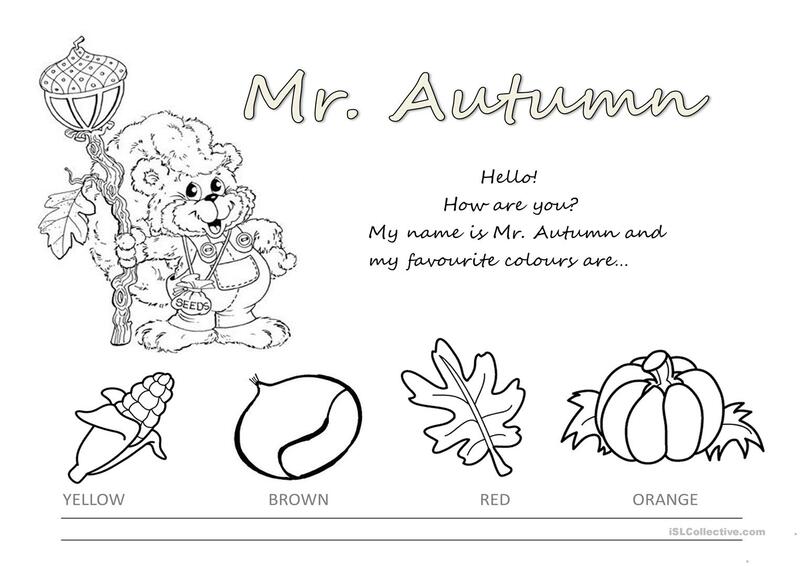 It is focused on the theme of Autumn. khlio is from/lives in Spain and has been a member of iSLCollective since 2011-10-10 10:05:52. khlio last logged in on 2019-03-29 17:38:03, and has shared 1 resources on iSLCollective so far.